Oh, you think your mouse finger powerful, don’t you? Well I trained my hand at ten times Earth’s normal gravity! Mine is the hand that knows the Heyoh-Ken technique! My hand clicking power is over 9000! And I’m going to need it when Dragon Ball Xenoverse rocks the dragon on PC. 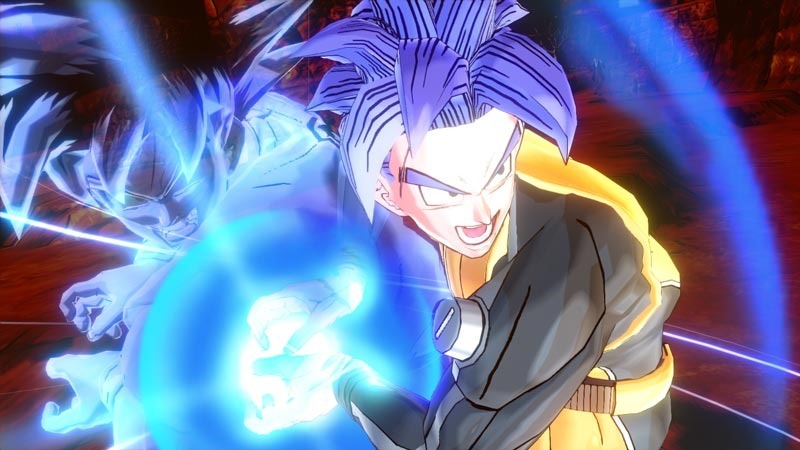 Dragon Ball Xenoverse has some interesting ideas that are in its favour at the moment. Sure, you’re playing through the exact same battles from the previous decade of games, but hot damn, they do look more fabulous than Zarbon’s hair. You’ve also got a custom character creation option in the Avatar system (Not this or that one) and the new Master system, which isn’t an attempt at bringing back an old Sega console unfortunately. Basically, players get to choose their sensei for the game, such as Goku or Vegeta. You can probably choose someone else like Tien or Yamcha, but if you do then you’re most likely gullible enough to buy snake oil*. The Master system helps train your custom character up, with your sensei also providing a helping hand in the battles ahead. I have checked with Bandai Namco on this, and unfortunately Sho Nuff isn’t included in the game. Mira, the artificial creature trying to be the strongest creature in the universe, and Towa, a dark scientist coming from a demonic world, seem to be up to no good… They are currently planning to change the Dragon Ball universe as we know it. Just like the evil magician Babidi in the past, they are trying to gather as much “Kiri” as possible. For what purpose…? Only Supreme of Kai Time knows. The Supreme Kai of time looks like a child but is far from being this young… Indeed, 75 000 000 years ago, this deity showed up for the first time and seems closely tied with the bird called TokiToki! Behind the disturbed and weirdly acting birdie, lies a very powerful life-form that can produce time! Dragon Ball Xenoverse is out “early 2015”. Prepare to rock the dragon. Hopefully your graphics card is an Nvidia GTX Over 9000. *For more information on this joke, please visit Rhema Ministries.